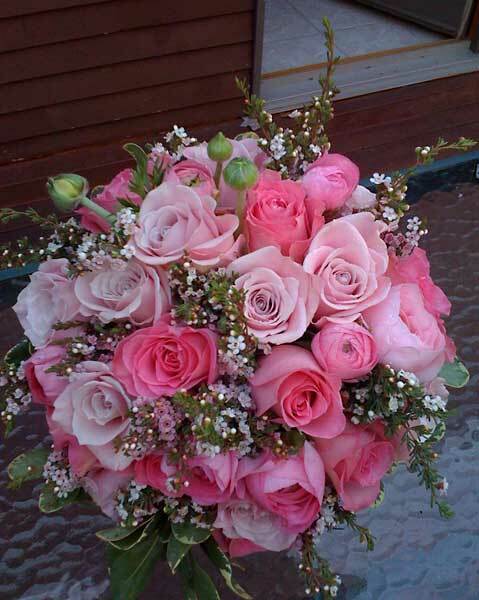 Consists of select roses in the color of your choice arranged with or without a complimentary filler flower. The choice of greens to compliment your bouquet style is yours. We hand tie the bouquet and braid ribbon around the stems with pearls to add a touch of elegance. This bouquet is made with 18 roses. with accents of color from bride’s bouquet and a touch smaller in size. Same style of bouquet with roses of your choice but smaller than the maid of honor. Pin-on made with roses in the colors of your choice. Single rose will be made to match the respective person in the wedding party.